2 players in the middle play off 1 touch each with a maximum off 3 touches between them. 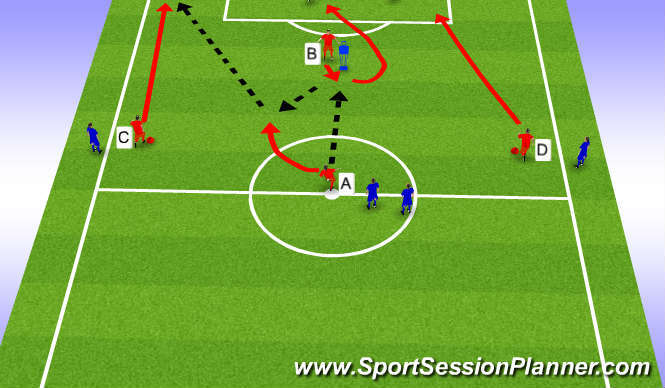 Objective is to combine to pass to a free outside Blue player who plays straight back and repeat the process. 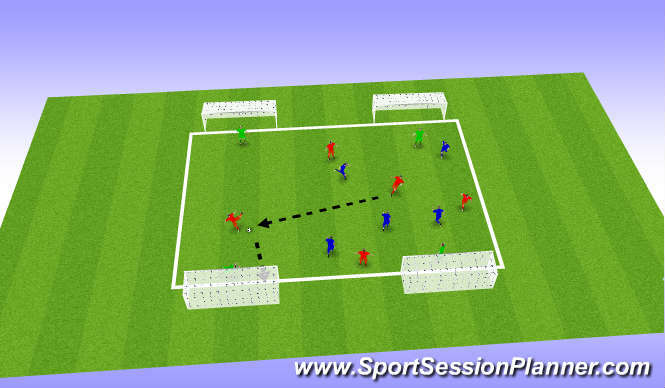 Players on the outside have to move to creat space and be free from there opposite Red defender to combine with middle players. 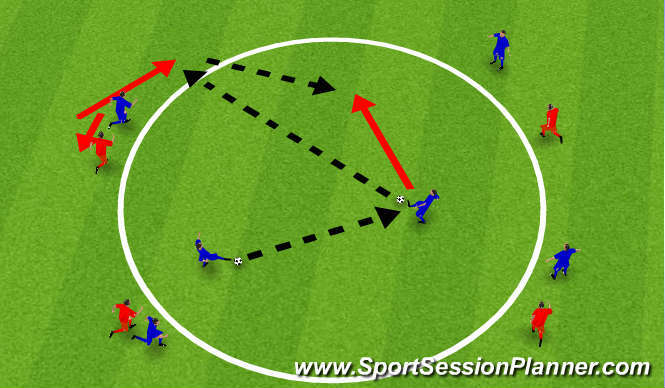 In particular guidance will be given to encourage different methods of playing out from the back. 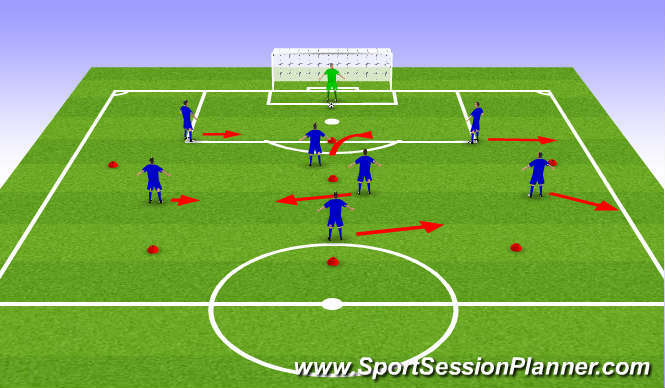 The same set-up is then used to work on the team&apos;s defensive shape. 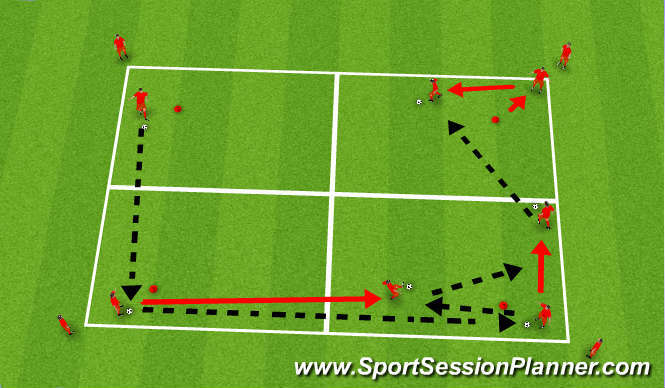 The coach will move with the ball from position to position and the team will react depending on the position of the ball in to a general defensive shape.